Designed for outmaneuvering traffic and skidding down sidestreets, the Rush Hour is a classic steel city track-style bike made for the discriminating cyclist at an inexpensive price. Whether at home, on the streets, or on track the Raleigh Rush Hour Bike is designed as the perfect companion for an urban adventure or for refining your spin. Inspired by Nelson Valls the first African-American Olympic cycling medalist and created by Raleigh in collaboration with Nelson and Zephyr, the renowned classic steel city track-style bike fuses seamless design, comfort, and functionality, altogether adding to for a clean look and producing a commanding companion perfect for cruising around the city at ease. 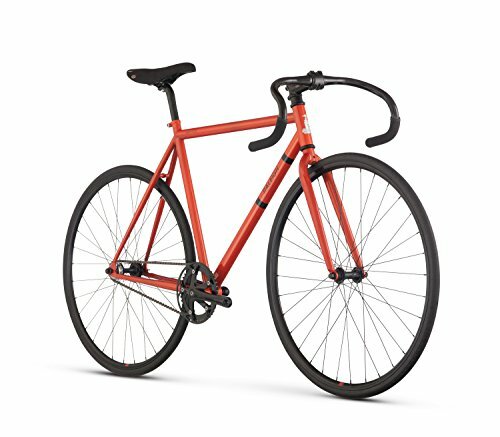 With that said, here is the expert review of the Raleigh Rush Hour Complete City Bike for skillful comprehension of its features and capabilities. The Raleigh Rush Hour comes packed with high performance, more grip, and aggressive low road bike riding positions to offer excellent urban adventure and city riding experience. The Raleigh Rush Hour features Hi-Ten Steel Frame made to provide a legendary smooth ride with track-inspired geometry. The thoughtful design plus Satori track handlebars allow for easy mounting of the bike, more grip, aggressive low road riding position, as well as providing comfortable and agile riding positions while cruising around the city and beating traffic. Moreover, the frame of the Raleigh Rush Hour is decorated in stylish and meaningful novel illustrations by Zephyr such his signature converse high-tops, the notorious TOGA bike shop, the Checkered Cab flags, and Cat’s Paw Hill in Central Park, where Veils and his crew used to meet to ride out and skate. Features of which combined make the bike Rush Hour perfect and ideal bike for both city commuters and cruisers. The Raleigh Rush Hour comes with Raleigh’s Classic Road Seat rich of features and comfortable bike design allowing for sufficient stamina and unforgettable cycling experience. Starting off, the saddle comes loaded with unique springs that serve a purpose in absorbing shock from bumpy and rugged terrains making cruising even more enjoyable, as well as the Raleigh’s Alloy Micro-Adjust Seatpost Clamp which allows an enthusiast to ride the bike at different heights. Thus, thanks to Raleigh’s subtle design incorporations, the Raleigh Rush Hour provides an unforgettable cycling experience, and sufficient stamina for attaining top speed, as well as navigating through narrow streets and traffic jams. Fitted out with Satori track Handlebars, the Raleigh Rush Hour allows for more grip and sturdiness owing to that it’s made of steel. Thanks to the enhanced rigid grip, the satori track handlebars boost performance in navigation, as well as allow for aggressive low road bike riding positions altogether placing the body in a comfortable riding position that reduces strain on the neck, as well as the lower back. The Raleigh Rush Hour Bike comes with superior and responsive brake design that provides an almost instant halting response. This reliable bike breaking system features Raleigh Rush Hour’s alloy dual pivot caliper brakes with inline levers that are well-designed to offer unsurpassed responsiveness and effectiveness in bringing you to an almost instant halt. The Raleigh Rush Hour comes fitted with a single-speed drive that offers a simple and tough designed for a minimal hassle and lasting performance. The single-speed drivetrain of the Raleigh Rush Hour bike consists of a 170mm Alloy Track Cranks, with a 42 Tooth Sprocket driving a 16-tooth Freewheel Cogset, for unsurpassed utilitarian performance providing more heave to each cycle. Moreover, to the rear hub, the Raleigh Rush hour features the Flip-flop track formula meaning that it allows for fixed free capabilities meaning that it can be run as a fixed gear or freehub. Made for city cycling enthusiast, the Raleigh Rush Hour Bike comes fitted with a comfortable and agile design that flares of high-performance features and stylish panache. Moreover, its minimal design, comfortable style, and seamless features fuse to produce a high-performance city track-style bike that blends excellent color schemes in a stunning fashion that echoes the beauty of the Raleigh Rush Hour bike all at an affordable bike price. Affordable: The Raleigh Rush Hour Complete City Bike comes at an affordable price that is of great appeal to the discerning cyclist. Abysmal brake pads performance: The brake pads on the Raleigh Rush Hour don’t have an excellent bike grip for providing instant-halt performance. 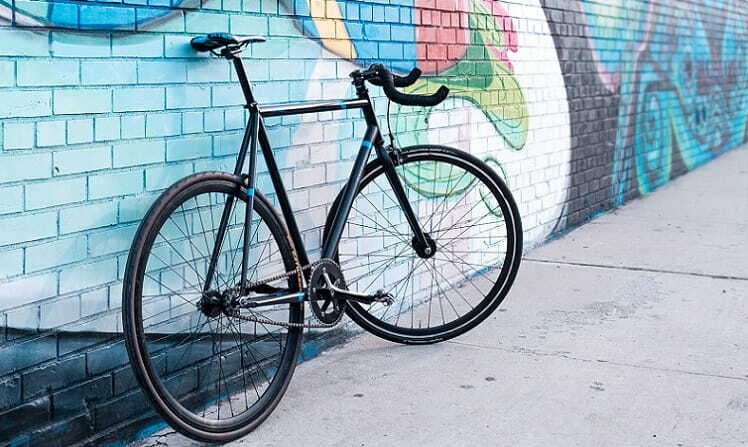 The Raleigh Rush Hour Complete City Bike offers a hi-ten steel track frame and fork built for the urban environment, well-designed to offer a smooth, comfortable, and seamless ride everywhere, every day. Its subtle construction and track-inspired geometry are perfect for zipping down along streets, paths, or back alleys in style. The flip-flop rear hub lets you pick out between riding freewheel (coasting) or with fixie drivetrain (no coasting). From an excellent steel frame construction to astounding seamless geometry, the Rush Hour is carefully crafted to offer quality, classic steel city track-style bike to the discerning cyclist at an affordable price, a perfect companion for an urban adventure or in refining your spin.